I never really used the 'trade' sections. I also haven't touched the file in several years. I have done some WAYK work with Greek since, though, which isn't reflected in the USC version. More illustrative than informative, I would think. Mainly because I didn't always have sticks available, and I found using a cup more versatile. I did go through have/want/give/take, but I didn't really go into buy/sell/trade directly. Instead, I tended to move to using prepositions which are very easy to do with objects - you can re-arrange them. 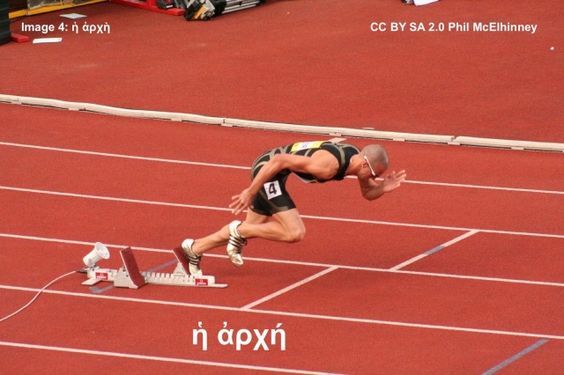 This is also a good chance to teach τίθημι. Cup is also useful because you can learn full/empty, then "full of X"
WAYK is a very versatile set of tools, and you can take its basic principles and apply them in your own learning/teaching without too much trouble. Will keep an eye on this thread and happy to throw in more suggestions/comments. Seumas Macdonald wrote: Cup is also useful because you can learn full/empty, then "full of X"
And also for prepositions like in, into, out of, on, even away from. Not so good for through. Wonderful to hear WAYK get some press. I've used WAYK for five years now and found it indispensable. For what it's worth, I begin simple. I use only 2nd Declension Masculines. First lessons are naming, Nominative. 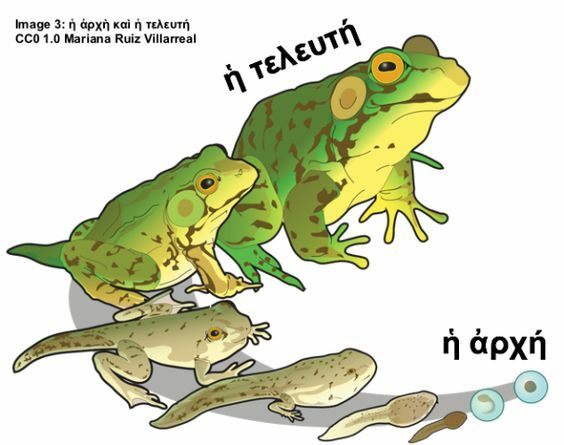 Second set of lessons are Accusative, using verbs such as ἔχω, δείκνυμι, κινῶ, δίδωμι. Then we get into Genitives and Datives. For "he,she, it" in the Nominative I use οὗτος, αὕτη, τοῦτο. For all other cases, αὐτ... αὐτοῦ, αὐτῷ, αὐτόν, αὐτῆς, αὐτῇ, αὐτήν, etc. I believe that sets up students to later recognize that the nominative is often used in a special constrastive sense. The nominative of the pronoun of the third person is replaced by ἐκεῖνος (of absent persons), ὅδε, οὗτος (of present persons), ὁ μέν . . . ὁ δέ (at the beginning of a sentence), and by αὐτός in contrasts” (Smyth, § 1194). For prepositions, I tended to work with static positional ones first. Then movement ones. Abstract prepositions are the hardest (as are all abstractions, really). When you get to "through", it's just a good time to introduce an object through which another one can move through. And I'd just echo Paul's words about the pronoun usage. It's good to get that right from the start. Micheal Palmer pointed out that you can use these same questioning techniques when discussing texts. ναί, αὔτη ἐστιν ἡ ἀρχή. ναί, αὔτη ἐστιν ἡ τελευτή. οὐ, οὐκ ἐστιν αὔτη ἡ τελευτή. αὔτη ἐστιν ἡ ἀρχή. ναί, έν ἀρχῇ ἦν ὁ Λόγος. οὐ, οὐκ ἦν ὁ Λόγος έν τελευτὴ. ἦν ὁ Λόγος έν ἀρχῇ. I think this is a very engaging way to approach asking and answering questions about a text, and using the same predictable approach for grammar (WAYK) and the text simplifies the task for students (and for teachers). 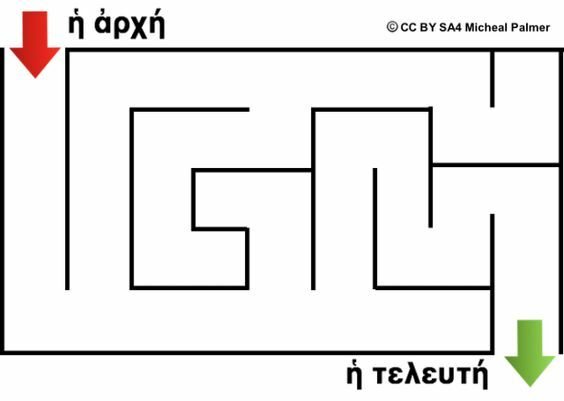 This video and your others demonstrating WAYK in Greek were some of the first resources that I found and I believe they were my first introduction to WAYK. Thanks for sharing them. Here is a go at Part 2; though I'm pretty unsure on the accenting on ἔστιν and how it changes in this script. Setup: Justin has the cup, Evan has the stone. Justin: What is that (pointing to Evan's stone)? Evan: That is a stone. Justin: Is that your stone? Evan: Yes that is my stone. ναί, οὗτος ὁ λίθος ἐστίν μου. Justin: What is that (pointing to his cup)? Evan: That is a cup. Justin: Is that your cup? Evan: No that is not my cup, that is your cup. οὐχί, τοῦτο τὸ ποτήριον οὐκ ἔστιν μου. τοῦτο τὸ ποτήριον ἐστίν σου. Justin: So that is my cup, is that my stone? Evan: No that is not your stone, that is my stone. οὐχί, οὗτος ὁ λίθος οὐκ ἐστίν σού. οὗτος ὁ λίθος ἐστίν μου. Justin: Oh yea, that is your stone, and that is my cup. οὗτος ὁ λίθος ἐστίν σου, καὶ τοῦτο τὸ ποτήριον ἐστίν μου. Evan: Yes that is your cup, and that is my stone. ναί, τοῦτο τὸ ποτήριον ἐστίν σου, καὶ οὗτος ὁ λίθος ἐστίν μου. Ben, glad you found the videos useful! I would really like to do more, but I'm not teaching much Greek at the moment at all so that kind of slows down both my own development, and producing videos I found to be a labour and time intensive task. Hopefully life will render me an opportunity to teach some more Greek, and then I'll definitely be implementing WAYK and hopefully able to contribute some more things. Ben Clark wrote: Here is a go at Part 2; though I'm pretty unsure on the accenting on ἔστιν and how it changes in this script. Shouldn't οὗτος and τοῦτο be "this" rather than "that" ??? I thought a lot about the question of 'this' versus 'that'. Eventually I settled on using οὗτος for the basic questions. You would use either in English, "What's this? What's that?" At some point you'd want to introduce the distinction between οὗτος and ἐκεῖνος. At that point, I'd use a set-up to create proximal and distal objects. Very easy. That's one thing I like about WAYK - want to teach a chunk of language? Figure out a way to arrange objects to create minimal contrast and make the distinction obvious, then use real language to talk about it.